This Friday, October 26th is Youth Night at UNH. Hampton Attack players are invited to join the University of New Hampshire Men’s Soccer team, along with other youth teams from the area, for the team’s game versus UMass Lowell. Players can tailgate outside the stadium, join the teams for the international walk out and play on the field during halftime. Prior to the game, teams can meet to tailgate and kick the ball around. Space has been reserved at Bremner Field (turf field above the game field). Wildcat Village (right next to Bremner Field) can be used to tailgate! 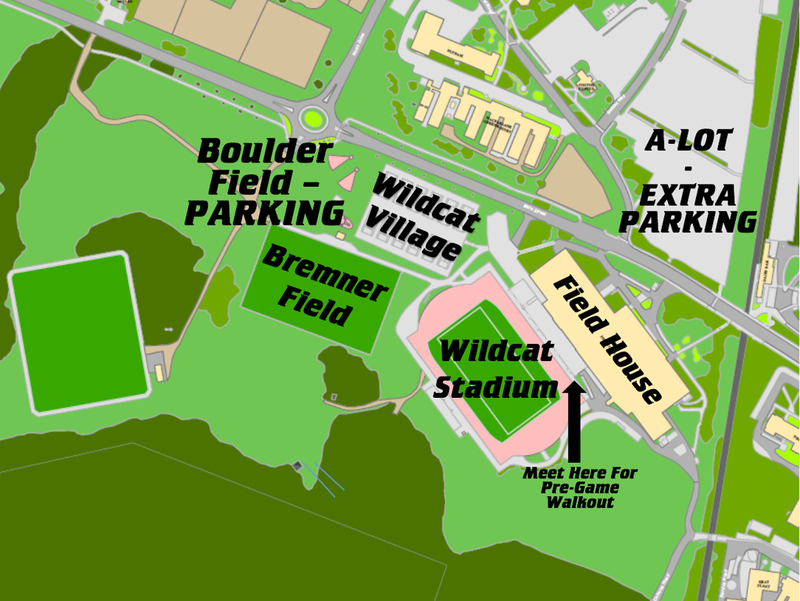 There is parking right in Wildcat Village and behind Bremner Field. Follow signs, directing people to the parking areas. See attached map labeling each of these spots. As an FYI, concessions and a UNH Men's Soccer gear store will be open on the concourse of the new Wildcat Stadium. For those that can attend, this is a fun night for soccer and our youth players! Go UNH! Go Attack!